HomeBlog June 2014 Easy Patriotic Picnic DIY Decor! Can you believe it's already time for July 4th? Neither can we! We're ready for family, friends and fireworks with this fun collection of picnic-ready projects that are super easy to paint and Podge! 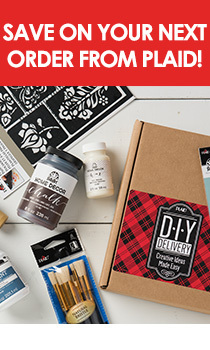 Grab your brushes and gear up for patriotic inspiration to create everything you need just in time for Independence Day entertaining - get the full how to at Plaid Online!